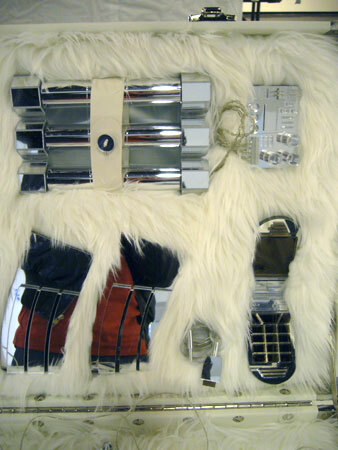 26 1/2" x 14 1/2" x 19"
This version of “Beaut Brute” consists of some mobile devices and the parts of a machine-gun made of mirrored material and cased in a white vinyl leather carrying case. 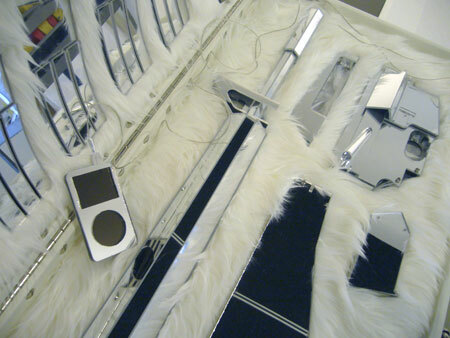 The mobile devices are an iPod, a hand-grenade, a cell phone and time bombs. 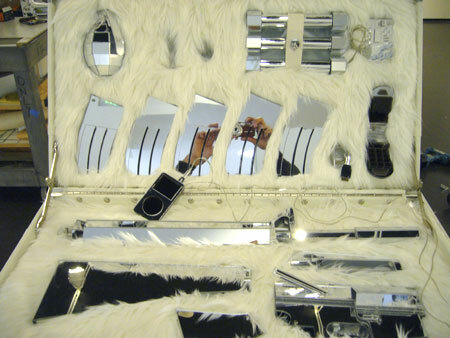 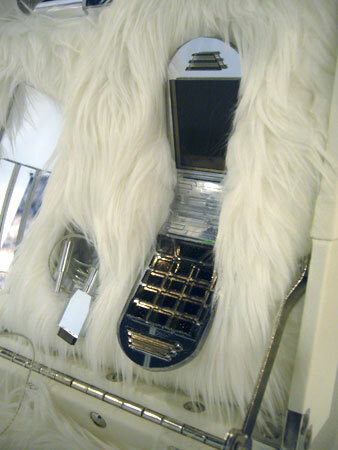 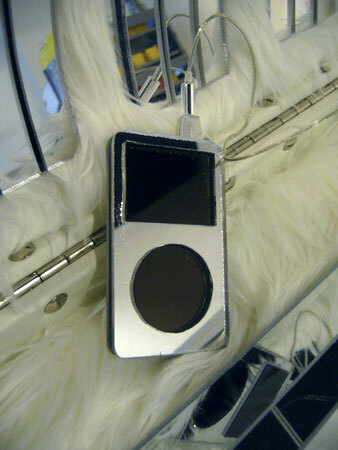 The carrying case is finished with white vinyl leather and silver hardware and padded with white faux fur inside. 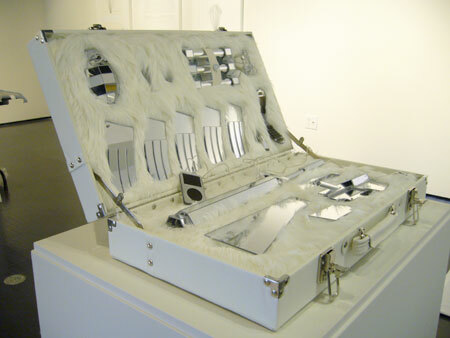 As well as my other works “Beaut Brute” and “Beut Brute II,” I wanted focus on the violent aspect of our desire to aestheticize objects around our life no matter what function originally the objects are made for. 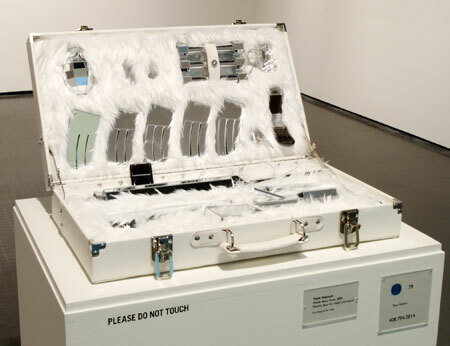 Also in this piece, I was aware of how the idea of violence became mobile and disseminated, and “carried” into our everyday-life.